Bridging academic research and practical advice, The Practice offers thoughtful analysis and perspectives on the legal profession for a global audience. 5th Annual Awards Dinner - The Transformative Role of Lawyers: Increasing Influence in Business, Government and Society. This Preliminary Report on The Women and Men of Harvard Law School presents the results of the Harvard Law School Career Study (HLSCS), conducted by the school’s Center on the Legal Profession (CLP). The study seeks to deepen the understanding of the career choices made by HLS graduates by providing for the first time systematic empirical information about the careers trajectories of graduates from different points in the school’s history. In this Preliminary Report, we offer a first look at the Study’s findings about the salient similarities and differences between the careers of the school’s female and male graduates. 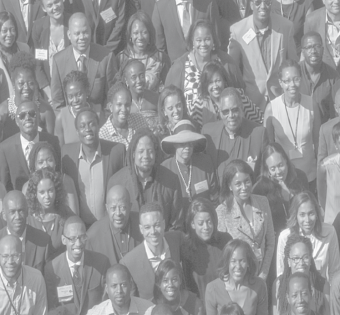 In 2016, the Center produced an update to and extension of its 2000 Report on the State of Black Alumni: 1869-2000 with the publication of Harvard Law School: Report on the State of Black Alumni II 2000-2016. The report contains both a comprehensive history section on the state of the black legal profession and, in particular, black HLS graduates between 2000 and 2016 (including a comprehensive timeline of developments across those years) as well as a robust data section on the career-paths of black HLS graduates. The Center launched this important work in June 2017 at its 3rd Annual Awards Dinner, held at the Smithsonian National Museum of African American History and Culture. The Harvard Law School Center on the Legal Profession (CLP) is seeking 1 or more Research Fellows to join its Fellowship Program in the Summer/Fall 2018 (exact start date negotiable) to conduct independent empirical research on the structure, norms, and dynamics of the global legal profession and to contribute to the research priorities of the Center. We encourage applicants to learn more about the Center’s research on its website (CLP.law.harvard.edu) and via its digital magazine The Practice (thepractice.law.harvard.edu). Research fellowships are full-time, in-residence at the Center’s offices in Cambridge, Massachusetts, and typically 2-years in length. At the Center, the Research Fellow would join a lively group of researchers from diverse disciplines as well as Harvard’s wider academic community. Previous research fellows have come from a number of academic backgrounds (including law, sociology, international relations/political science, economics, psychology, and organizational behavior) and have gone onto faculty positions at major universities in the United States, India, Korea, and Canada. To learn more, email Bryon Fong at bfong@law.harvard.edu. Law has traditionally operated in a world in which “inputs” formed the basis of analysis. For instance, the billable hour—how much time a lawyer puts into a particular matter—has traditionally been the standard metric for measuring the overall worth, and even the quality, of legal work. That is changing. Pushed by increasingly sophisticated general counsels who have long stressed the need for “data analytics,” in-house legal departments are increasingly developing “output” based criteria for measuring the cost and quality of legal services The Project’s aim is to better understand how to measure “quality” in legal services, and to offer a set of recommendations as to the development of quality metrics in law. Check out some of the recent books by CLP faculty, fellows, and affiliates, including the first book in our Globalization, Lawyers, and Emerging Economies (GLEE) series, The Indian Legal Profession in the Age of Globalization: The Rise of the Corporate Legal Sector and its Impact on Lawyers and Society, published by Cambridge University Press. Each year the Center brings together leading academics, legal practitioners, and thought leaders to honor and recognize individuals whose achievements have been impactful to the legal profession. Our 2017 theme was “A Celebration of the History of Black Lawyers” and was held at the Smithsonian National Museum of African American History and Culture. View a video montage of the event here. The Center on the Legal Profession has launched a Social Science Research Network (SSRN) Research Paper Series to deepen knowledge about the evolution and dynamics of the global legal profession. With the help of academics from around the world, we hope to build the Research Paper Series into the central depository for high-quality, innovative work on the global legal profession. To subscribe click click here. 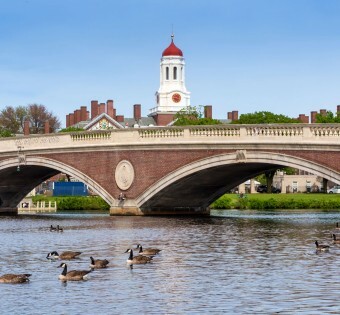 Harvard Law School’s Executive Education strives to develop lawyers from a range of institutions into influential and effective leaders and make a positive difference in the global legal profession. 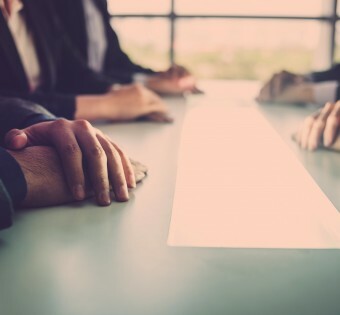 HLS Executive Education offers a number of open-enrollment and custom programs available for legal professionals at various points in their careers, both within firms and in-house. View a video summary of the event here.